France again: Napoleon is back! BBC News, by Hugh Schofield, 26 March 2012. ID-réel: In our work we are pushing up the topic of theme parks: it is one of the best ways to promote the region, its history, its traditions. BUT: any theme park is a BUSINESS project: the main goal is to attract the tourists and to make them pay for the entertainment they have. The best exemples apart Disneylands arround the world, the theme parks as Futuroscope in Poitier, Puy du Fou in Vendée or Médinat Alzahra in Tunisia. The real explosure of the theme parks are linked to the big need of new experiences in leisure, short trips and in the same time, the babyboomers time in Europe & USA. Plans are afoot to build a theme park based on the life and times of the French leader Napoleon Bonaparte. Can it be a tourist magnet to rival nearby Disneyland Paris? You have heard of Napoleon the emperor, the general, the reformer, the lover. Of the humble Corsican who took destiny by the throat, whose armies marched through Europe, bringing subjugation yet also emancipation. And how he was stopped at the gates of Moscow, fought a last hurrah at Waterloo, and died in Atlantic exile. So maybe you will be interested in the latest attempt to memorialise this greatest of Frenchmen. Because coming some time soon at a location not far from Paris, it's Napoleon… the theme park. Far from being the whim of a madcap entrepreneur, it is an entirely serious project with the backing of government, tourism officials and the Bonaparte family. Assuming the money can be raised - and everyone thinks it will be - then the first stone of Napoleon's Bivouac (for that is its name) will be laid on 18 February 2014, the 200th anniversary of the battle of Montereau. The battle of where? 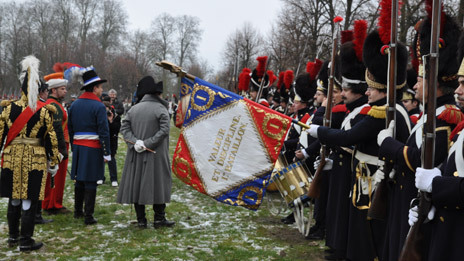 Montereau is not the most famous of Napoleon's encounters. Austerlitz it ain't. It was fought in what became known as the France campaign of 1814, as the emperor tried in vain to hold back the advancing coalition armies. At Montereau, 90km (55 miles) south-east of Paris, he scored a small but brilliant victory over the Austrians. Legend has it that it was here - when loyal soldiers expressed fears for his safety - that Napoleon uttered the much-quoted words: "Fear not my friends. The bullet that will kill me has yet to be cast!" The victory made little difference to the course of the war, and a few weeks later Napoleon was forced to abdicate at Fontainebleau. But it remained etched in the memory of the town. A statue of the emperor on horseback dominates the main bridge, and there are annual re-enactments by uniformed enthusiasts. More importantly, by virtue of being one of his very few victories on French soil, Montereau is seen as the perfect spot for a Napoleonic tourist centre. 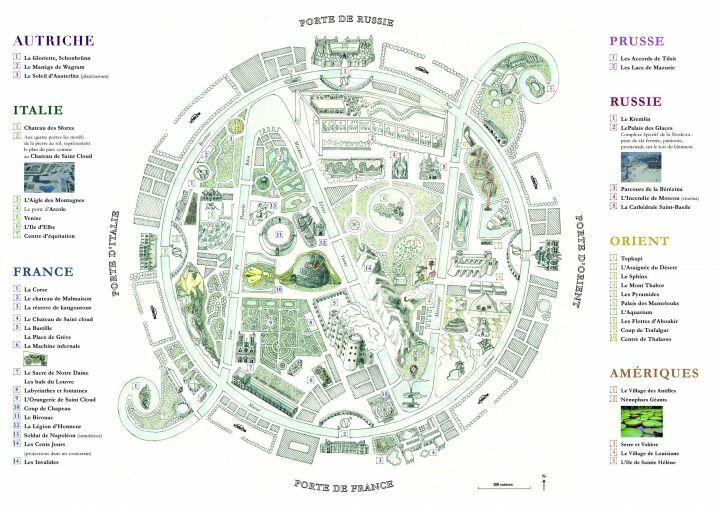 "Experts will look into what kind of attractions we could include in the park," says Yves Jego, mayor of Montereau, and driving force behind the project. "They mustn't be vulgar, but fitting for the stature of the man." For those who find it hard to imagine how a theme park could be based on so important - and indeed controversial - a historical character, supporters have a stock answer. Don't compare us to Disneyland Paris, they say. Think more of Le Puy du Fou. Le Puy du Fou is a historical theme park, telling the story of the people of the Vendee in western France. With five elaborate outdoor spectacles - replete with battle-scenes, pyrotechnics and a cast of hundreds - it draws in some 1.5 million visitors a year. The Bivouac could do something similar. 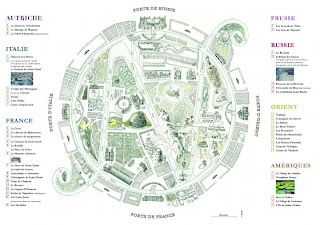 Provisional sketches show a park divided into regions - France, Russia, the Orient and so on - with reconstructions of sites from Napoleon's life such as the Pyramids and the Gates of Moscow. There'll be battle re-enactments, and perhaps rollercoasters and water-rides. The promoters also want computerised exhibits based on the latest in video-gaming. "A theme park is a fantastic way to teach young people about history," says France's tourism minister Frederic Lefebvre. "A park that tells of the life of Napoleon - the good sides as well as the bad - will, I am convinced, prove of interest to people the world over." Lending authority to the project is the man who currently heads the Bonaparte family, Charles Napoleon. A descendant of the emperor's younger brother Jerome, he dismisses the notion that it will trivialise his illustrious forebear. "In the past people learned history by reading. Then they learned history by going to museums, or by seeing films. In the 21st Century, people need a new medium for history - and that medium is the theme park," he says. Charles Napoleon is concerned about historical accuracy, but he places his faith in a committee of experts which will keep a close eye on the project. Because Napoleon means different things to different groups of people. The Poles regard him as a saviour, with a name-check in their national anthem. For the Russians, he was a brutal invader. The Spanish rose up against him, and were ruthlessly suppressed. But many in Italy thanked him for casting off the Austrian yoke. As for the British, they have a particular relationship with the man who for so many years was their bitterest foe. There is a school of British historiography which is especially critical of le petit caporal, seeing him as a prototype for later destiny-inspired war-mongers such as Hitler. "Do you judge Winston Churchill by the 30,000 he killed in one night in the air raids over northern Germany? Of course not," he fumes. "Yes, Napoleon made war. But behind the French armies came new institutions, new administrations, new rules - all inspired by the French revolution, by equality and justice. It was liberation through conquest." In France too, historical opinion remains divided - so divided that children learn plenty about the Revolution, but history lessons then take a sudden leap forward to 1871 and the coming of the Third Republic. His legacy is awkward because even though Napoleon put in place many of the institutions which make up modern-day France (the Banque de France, departments, Legion d'honneur and so on), he also crowned himself emperor and waged war on the rest of Europe. Particularly troubling for the political left are his re-establishment of slavery, and the subordination of women in his civil code. Not that any of this matters to those the theme park will be principally aimed at. The real genius lies in its appeal to new tourists - those already arriving in France in their tens of thousands but soon in their millions: the Indians, the Russians, the Brazilians. And above all the Chinese. "China is our most important potential market, and there Napoleon is a vital strategic asset," says Christian Mantei, head of tourism development agency Atout France. "They love his image as a military genius, as an epic hero and a self-made man. He is a killer brand." "The French have a difficult relationship with their history. It all moved so fast, so inevitably people are deeply divided over Napoleon's achievements. But go abroad - especially to China or India or Japan - and you immediately see that he is the best-known French man all over the world. "That's why we have to build this park. Because if we don't do it soon, you can be absolutely sure the Chinese will get there first."